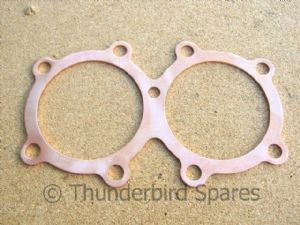 This is a new solid copper cylinder head gasket (9-stud) to fit the unit construction 650 Triumph twins ie 6T, TR6 & T120 from 1963-1973. 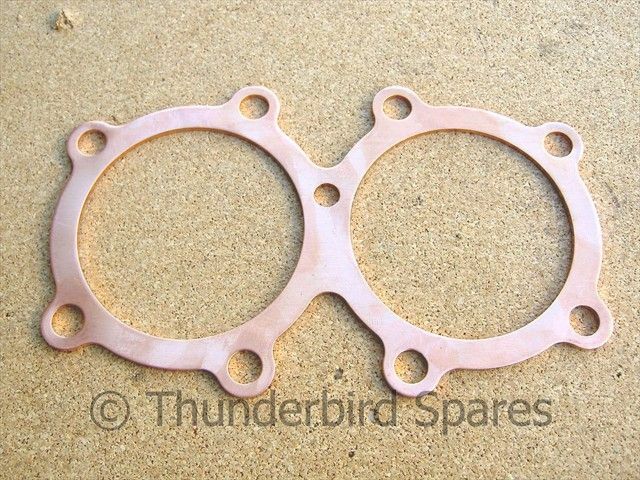 This is a thicker than standard gasket (0.080" or 2mm) which is useful when fitting a cylinder head that has been skimmed or if you have valve to piston clearance problems. 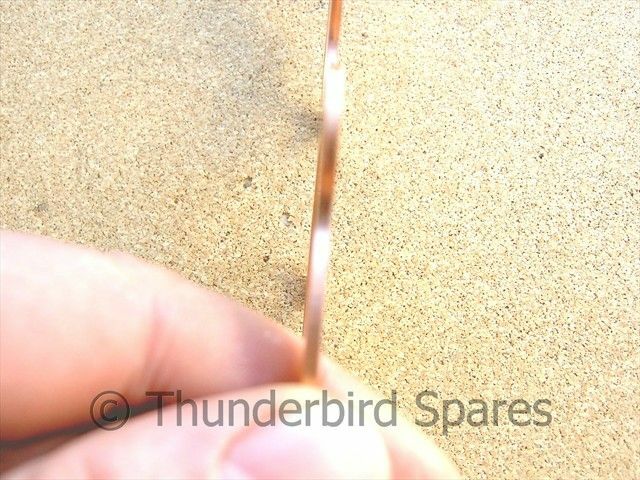 The standard gasket is 0.040" (1mm).